Yippee!! I still can hardly believe it! 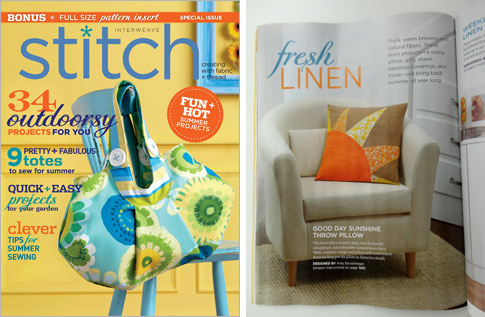 I am thrilled and honored to have two projects featured in the Summer 2012 issue of my very favorite sewing magazine, Stitch! 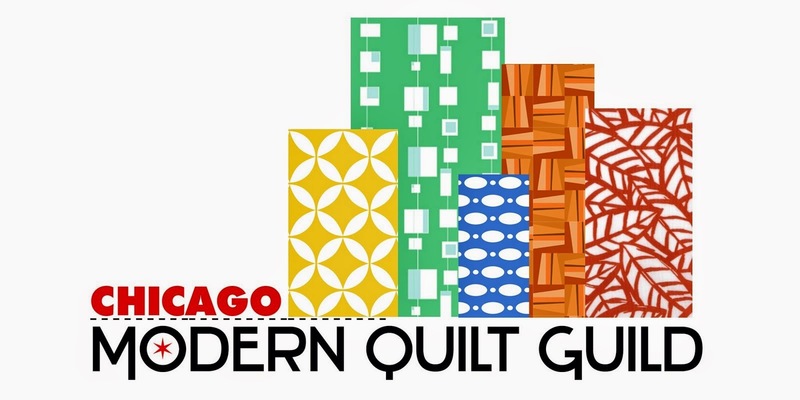 Stitch is a quarterly special issue modern sewing magazine from Interweave press, and I've been a huge fan since it's very first issue. I designed the linen Good Day Sunshine pillow cover specifically for the issue. The Little Apple Apron is actually a few years old. I designed it as a gift for my son three years ago but it seemed perfect for the Summer issue. I'm glad they thought so, too! The image on the left is courtesy of Stitch, the one on the right is my own, of course, with my then-five-year-old hamming it up for the camera! 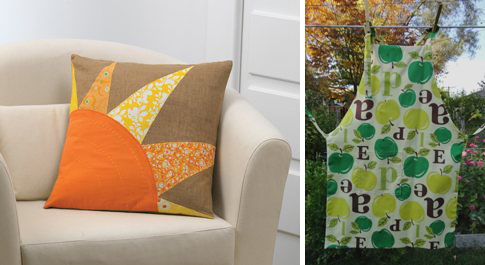 Again, my Good Day Sunshine pillow cover (photo courtesy of Stitch), and Little Apple Apron (my own photo). 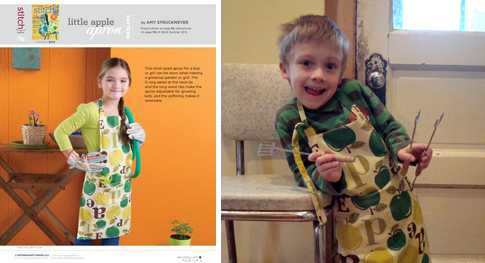 Patterns and instructions for making both of these projects can be found in Stitch Summer 2012, available in select stores, and online, now! Some afternoons, when I'm dragging a bit and I don't want/need another cup of coffee, a mug of chai tea is just the thing to hit the spot. It's spicy, a bit sweet, and refreshing... but also a wee bit of a pain to make. Until I discovered a recipe for this yummy make-ahead chai concentrate, made with sweetened condensed milk. Just mix all the ingredients in a jar and allow to sit overnight. 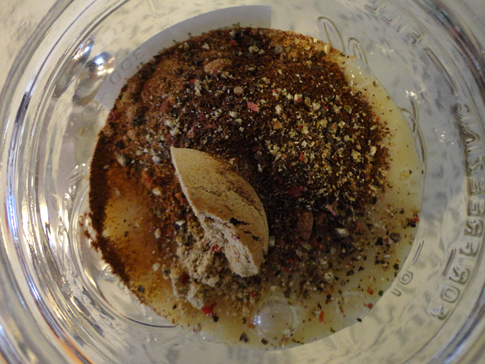 Then add a tablespoon or more of the mixture to a cup of strong black tea. The concentrate will keep, refrigerated, for weeks. If you enjoy it as much as I do, though, you'll need to mix up a new batch long before that! The recipe below is a modified version of the one in Pip Lincolne's book Sew La Tea Do, and similar to this one. Zippers. Sure, I've sewn a handful of zippers into clothing and a pillow cover, but I've never been comfortable sewing zippers. I could follow the instructions in a pattern well enough, but ask me to sew in a zipper without a pattern, and I'd be lost. Until last month, that is. As part of my goal to learn a brand new skill, I wanted to really learn how to sew a zipper in a bag. A bag with a lining. I purchased Elizabeth Hartman's Perfect Zip Bags pattern here. The pattern has instructions for making three different bag styles, each in a small and large size. Plus it offers a bunch of strap options and guidelines for adding patchwork details, so you can really make an endless variety of bags from this one pattern. Pretty cool. 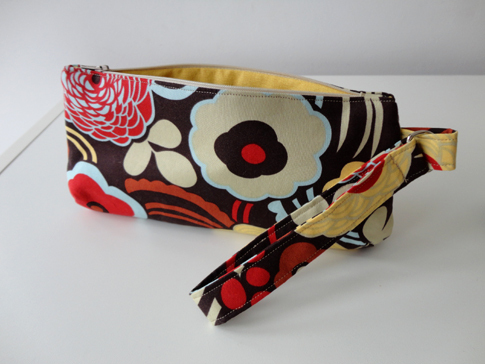 I made this cute little lined wristlet bag (shown in the photos above)... with a zipper! It's the Style A bag from the pattern, in the larger size. I love Elizabeth's technique of finishing each end of the zipper with fabric tape before stitching the zipper to the bag. It makes for a really professional-looking detail. Once I finished the wristlet from the Perfect Zip Bags pattern, I knew I needed to practice with a design of my own. I had enough canvas scraps left from my aprons to make this simple zipper pouch. It's similar to the Style C bags, but I modified the proportions and details to make it my own. 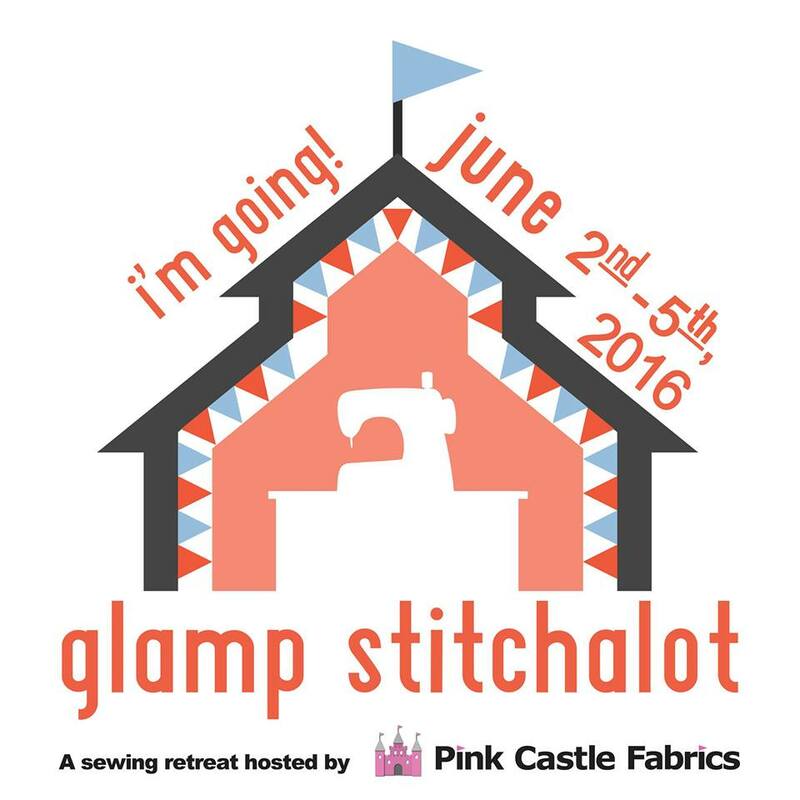 What new sewing techniques, or other skills, do you want to master?